Home » Wine Guy Blog » Can China really help solve any world wine shortage? Can China really help solve any world wine shortage? Wine Guy knows of many colleagues in the Wine and Spirits Trade who have been aggressively pursuing wine and spirit sales growth in China, and they have been tremendously successful! The £ and $ are rolling in with the Chinese drinking better wines and more of them. Is Chinese consumption helping to drive price hikes in the Fine Wine Market. Who knows? I'm sure someone will enlighten me. The market potential there is huge and is continuing to grow. One Whisky producer informed Wine Guy that should Chinese Scotch Whisky consumption reach anywhere near that of the UK's, they simply do not have the stock to supply them. Perhaps Wine Guy should've become a Whisky producer? It was with great interest that Wine Guy read the article below and the views put forth. Click the link and read on! © Copyrighted Wine-Works, All Rights Reserved. All the girls loved it and most were quite giggly by its conclusion. Look forward to the next one! We were absolutely delighted to be chosen to host Hagar’s Charity Fundraising event in Central London! Lots of fun and importantly…lots of money raised for a very good cause! Thank you for a well-organised and entertaining event last week at Luton Hoo. We had much fun and I thought you handled the crowd of “would-be-wine-boffins” very well. "I cook with wine, sometimes I even add it to the food." "I should say upfront that I have never been in a cellar in my life. In fact, I can see no reason why anyone should ever go into a cellar unless there is wine involved." "Beer is made by men, wine by God." "Wine gladdens the heart of man." 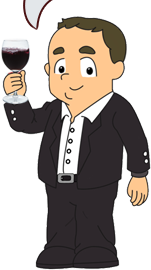 "Wine is the most healthful and most hygienic of beverages." "High and fine literature is wine, and mine is only water; but everybody likes water." "This is one of the disadvantages of wine, it makes a man mistake words for thoughts." "If we sip the wine, we find dreams coming upon us out of the imminent night"
"Give me wine to wash me clean of the weather stains of cares"
"Wine can of their wits the wise beguile, Make the sage frolic, and the serious smile"
"Wine enters through the mouth, Love, the eyes. I raise the glass to my mouth, I look at you,I sigh." "Wine is like the incarnation--it is both divine and human"
"Wine makes all things possible." "Sir, I did not count your glasses of wine, why should you number up my cups of tea?" "Wine can be a better teacher than ink, and banter is often better than books"
"Life's too short to drink cheap wine..."
"The first kiss and the first glass of wine are the best." "A bottle of wine begs to be shared; I have never met a miserly wine lover"
"I prefer my water in wine form." "White wine is like electricity. 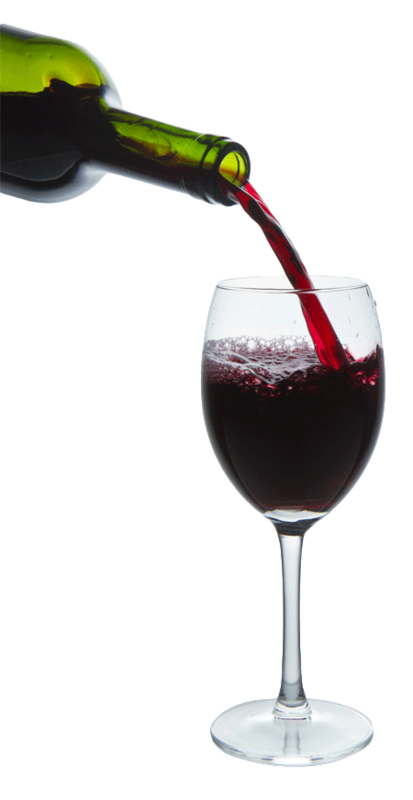 Red wine looks and tastes like a liquified beefsteak." "Great wine works wonders and is itself one"
"To take wine into our mouths is to savour a droplet of the river of human history"
"Wine gives one 'ideas,' whereas champagne gives one 'strategies." "Men are like wine-some turn to vinegar, but the best improve with age." "Most days I juggle everything quite well, on the other days there's always red wine." "There is truth in wine, but you never see it listed in the ingredients on the label"
"Always carry a corkscrew and the wine shall provide itself." "Wine is like the incarnation-it is both divine and human." "Wine improves with age. The older I get the more I like it." "Age is just a number. It's totally irrelevant, unless, of course, you happen to be a bottle of wine." "My only regret in life is that I did not drink enough Champagne." "Consuming wine in moderation daily will help people to die young as late as possible." "Wine is the thinking person's health drink." "Wine cheers the sad, revives the old, inspires the young, makes weariness forget his toil"
"The wine cup is the little silver well, where truth, if truth there be, doth dwell"
"Wine makes daily living easier, less hurried, with fewer tensions and more tolerance"
"Good wine is a necessity of life for me"
"Champagne is one of the elegant extras in life"
"I drink Champagne when I win, to celebrate and I drink Champagne when I lose, to console myself"
"God made water, but man made wine"
"Penicillin cures, but wine makes people happy"
"Drinking good wine with good food in good company is one of life's most civilized pleasures"
"A bottle of good wine, like a good act, shines ever in the retrospect"
"Like human beings, a wine's taste is going to depend a great deal on its origins and its upbringing"
"Compromises are for relationships, not wine"
"Language is wine upon the lips"
"Wine is wonderful stuff, but so many people are put off by the snobbery of it"
"I'm only drinking white wine because I'm on a diet and I don't eat"
"Wine has been with civilised man since the beginning"
"Whenever a man is tired, wine is a great restorer"
"Wine rejoices the heart of man and joy is the mother of all virtues"
"A waltz and a glass of wine invite an encore"
"Wine is one of the most civilized things in the world and one of the most natural things of the world that has been brought to the greatest perfection, and it offers a greater range for enjoyment and appreciation than, possibly, any other purely sensory thing." "Good wine carrieth a man to heaven"
"Drink wine, and you will sleep well. Sleep, and you will not sin. Avoid sin, and you will be saved. Ergo, drink wine and be saved." Bumper year for English wine. Welcome to our advanced search. You can select as many options as you would like by ticking as many boxes as apply. Your selection will stay ticked unless you remove it by clicking on the X. To exclude a category from your search please put in a tick mark and select "is not"